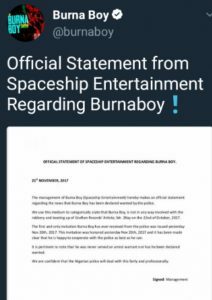 It appears that all is not well in the spaceship entertainment dynasty. 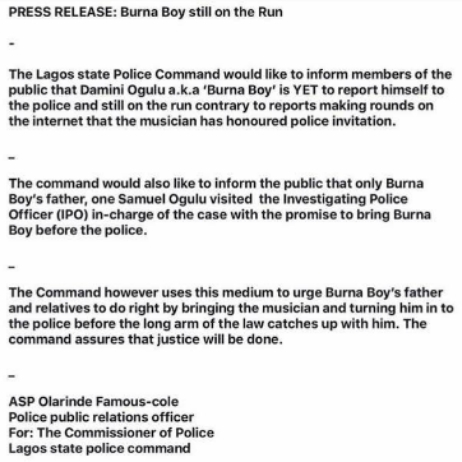 The record label released a statement yesterday via the twitter page saying that there was no such thing as an arrest warrant issued and Burna is cooperating with the police. 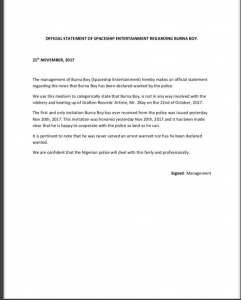 The Police however states otherwise. 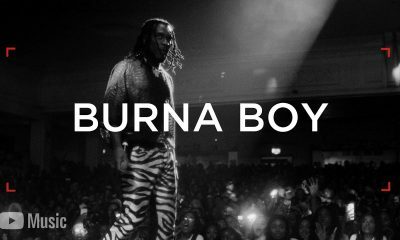 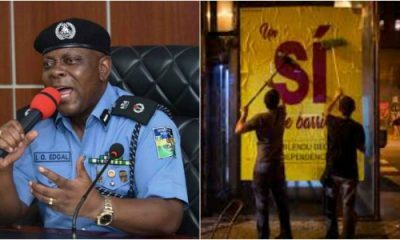 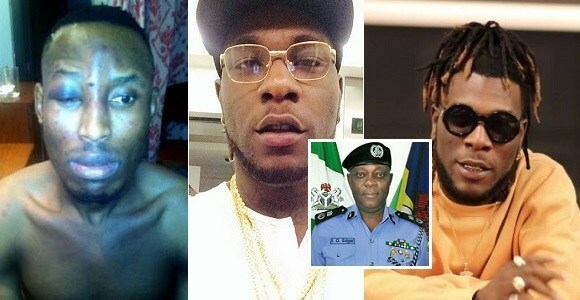 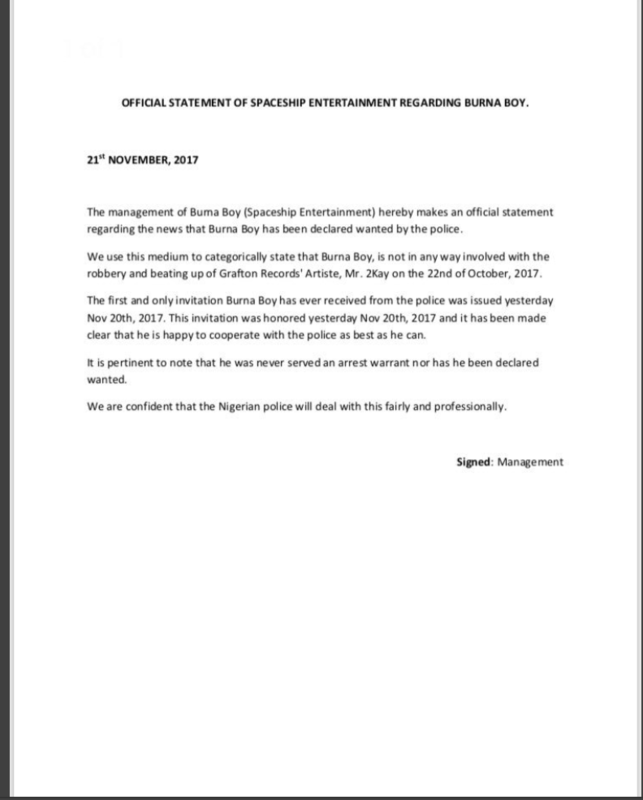 The state police released a statement this morning saying that Burna Boy is still on the run! 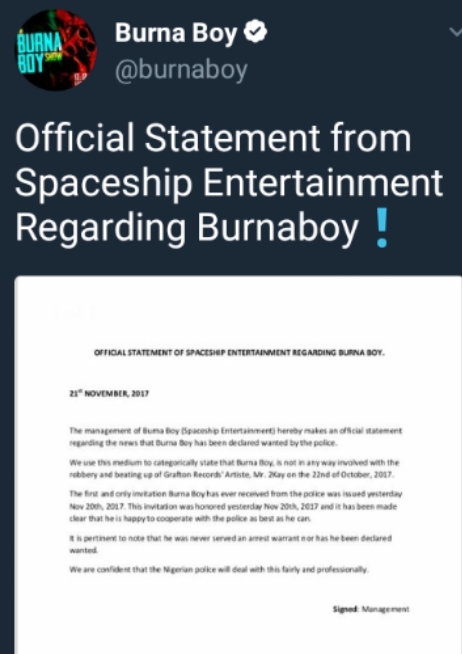 Photo: The official statement released from Spaceship Entertainment via Burna’s twitter page. 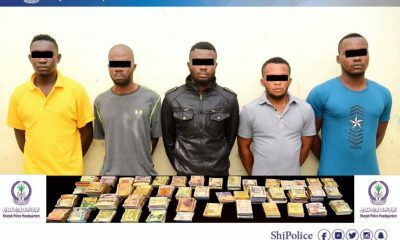 Photo: Press release by the Lagos State Police contradicting that of the record label. 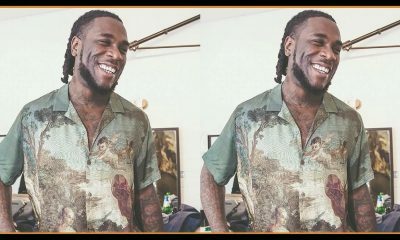 Let’s get something straight, Burna has nothing and I mean absolutely nothing to hide, Nigeria Police are just being mischievous and lazy, they only released an interview about the arrest of his manager and talked about wanting to see Burna Boy, they should have released an official statement stating clearly that Mr Damini Ogulu is wanted for questions at a particular station. 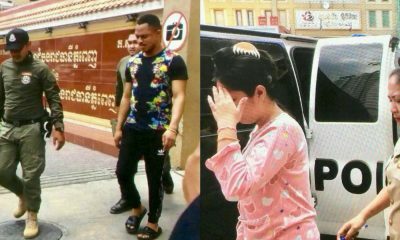 Damini can’t just waltz in to any station without proper invitation. 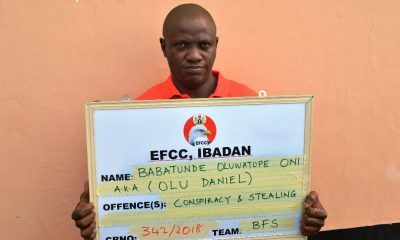 Even the interview was like a media propaganda linking Ogulu to the crime because of his connection with the Manager.